Here we are going to learn about SAPUI5.What is SAPUI5 , you will get the answer from its full form itself. It stands for SAP User Interface for HTML5. One can develop applications that don’t have any device compatibility issues ( desktop, mobile etc). 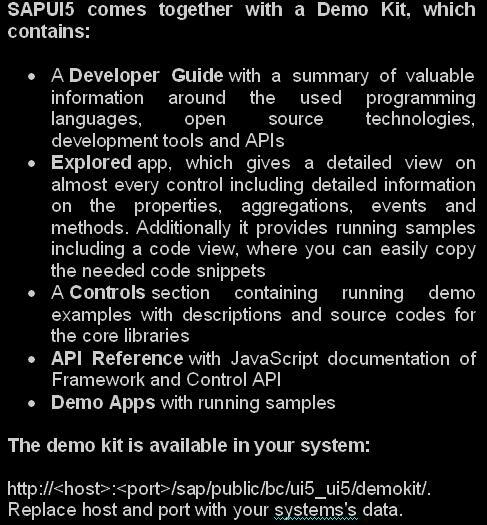 SAPUI5 contains a large collection of default coded libraries for html4 rendering and using those function we can easily create our applications. View SAPUI5 tutorials in pdf.You may heard about twitter bootstrap for creating responsive website templates. Before SAPUI5 , developers need to change frequently their application codes for adopting new web standards and compatibilities. Now using this stable and secure framework that issue is avoided.